A senior source with knowledge in the Senior Appointments Committee said that committee head Eliezer Goldenberg had searched for any way to torpedo the candidacy of Moshe 'Chico' Edri for police commissioner. The Advisory Committee for the Appointment of Senior Officials had decided late on Thursday night not to recommend Moshe (Chico) Edri to the post of Police Commissioner. 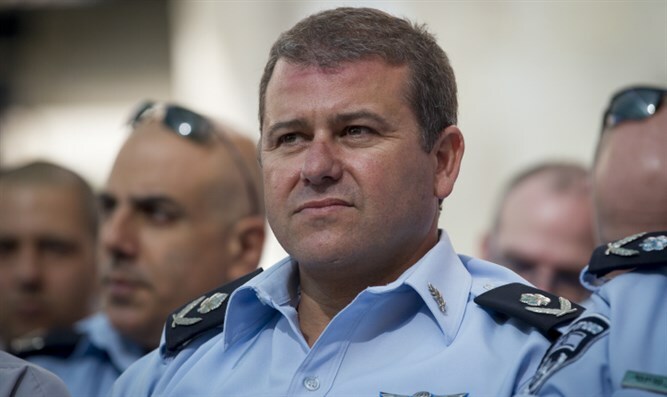 The Advisory Committee is responsible for vetting senior civil service officials, including the Police Commissioner, the IDF Chief of Staff, and the Governor of the Bank of Israel. The source told Channel 10 that the committee's conclusions were only a smokescreen designed to hide the fact the Eliezer Goldenberg sought to torpedo Edri's candidacy through any means possible. "Goldenberg had it out for Edri. He thought from the first moment that he was a stupid and illiterate policeman," said the source. "The meeting between Edri and Attorney Fishler was only an excuse to disqualify Edri." The Goldberg Committee had reportedly taken issue with Edri's meeting with Pini Fishler, an attorney for police whistleblower Rafi Rotem. "From the first moment, Judge Goldberg thought Edri was not suitable for the position of police commissioner. When [Police Commisioner] Alsheich appeared before the committee, Goldberg was fascinated. He really fell in love with Alshech, with his metaphors, anecdotes and word games," the source continued. "When Edri started to speak, he spoke in a mess and did not impress him. Goldberg thought he was not the sharpest pencil in the pencil in the pencil box." The committee had decided to reject Edri after two of its members voted in favor of the appointment, while the other two - including the chairman of the committee, former Justice Eliezer Goldberg - voted against it. In the case of a tie, the chairman of the committee receives a decisive vote and therefore it was decided not to recommend Edri’s appointment. Interior Security Minister Erdan announced that he does not accept the position of the committee in light of the tie. He noted that the committee's reasoning failed to establish a lack of “normative values” or lack of integrity in Edri's behavior and that there are no reasons to prevent the appointment of Edri as Police Commissioner. Erdan said he will ask to appear before the committee and present his arguments. Until another decision is made, Erdan announced that he would appoint a replacement for the Police Commissioner in the near future.